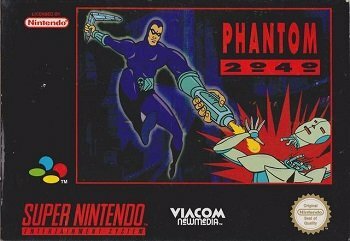 Phantom 2040 is a side scrolling run and gun adventure game on the super Nintendo developed by Hearst Entertainment and was released in 1995. 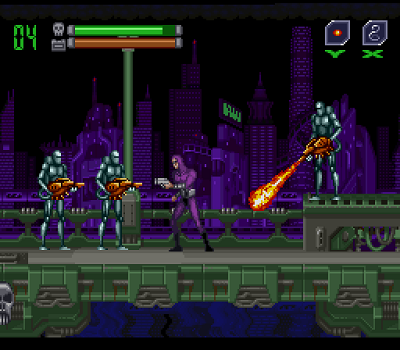 The game is based on the animated television series which ran in the 90’s. This game is probably one of the most underrated games on the super Nintendo, mostly due to the animated television series not being very popular and also because the game was released towards the end of the super Nintendo era. This game is considered to be one of the best side scrolling platform games on the super Nintendo. Phantom 2040 is set in the year 2040 where environmental disasters and resource wars have broken out which have had catastrophic effects on the earths ecosystem. Most of earth’s population lives in slums and fights for resources. 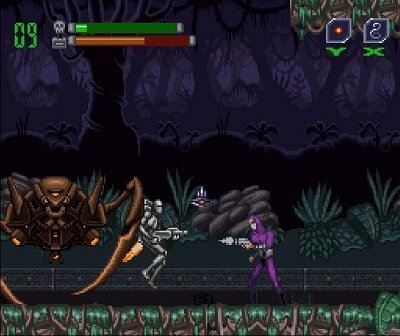 It is up to you to find a hidden jungle known as ghost jungle which is mankind’s last hope for survival. The character you play also finds out he’s true heritage and sworn to bring an end to poverty, piracy and greed. Gameplay. The gameplay in Phantom 2040 is amazing. You can explore each level to find hidden items. The number of different items and powerups you can find is huge. The difficulty of the game is not to hard which makes the game very playable. The controls for the character you play also feel very slick. I would rate gameplay 10 out of 10. Graphics. The graphics in this game are amazing, from the world map to the in play game they got every detail right. I would rate the graphics 9 out of 10. Sounds. The in play music is really good and sets the atmosphere of the game perfectly, especially the boss music. The sound effects in this game are just perfect. I would rate the sounds 9 out of 10. The only negative thing I have to say about this game is the replay value. Once you have completed the game there is not really a good excuse to play though it again. Overall I would rate this game 9 out of 10. Have you played this game? If yes let me know what you think about it in a comment below.